It is probably every artist’s dream to see their work on display for the public to enjoy. 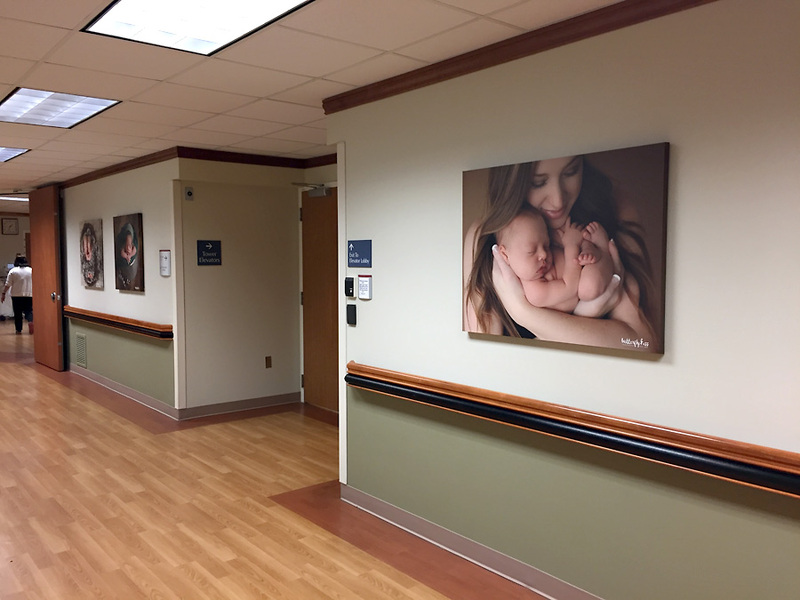 I am incredibly honored to have been chosen by St Joseph Hospital in Tacoma to have my work displayed on both the labor & delivery and post-partum floors. 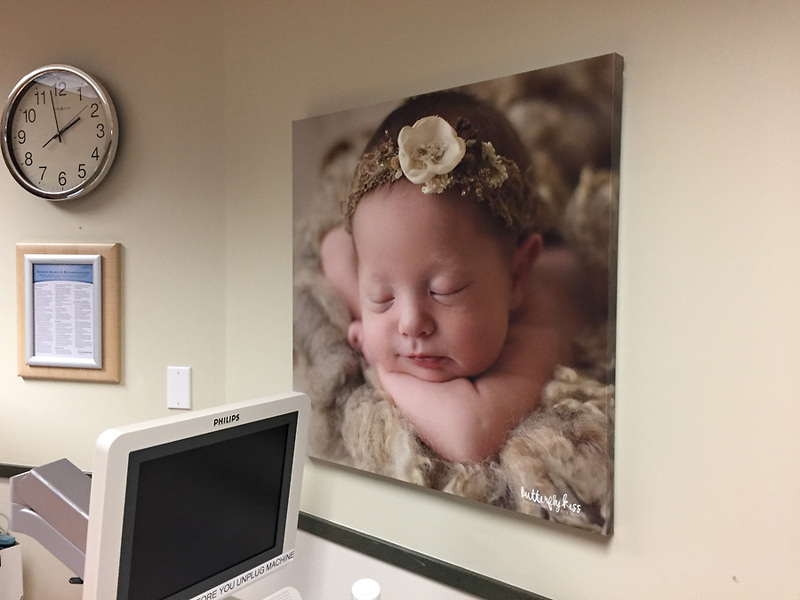 As a Tacoma newborn photographer I have photographed many new babies who were born at St Jo’s over my professional career. 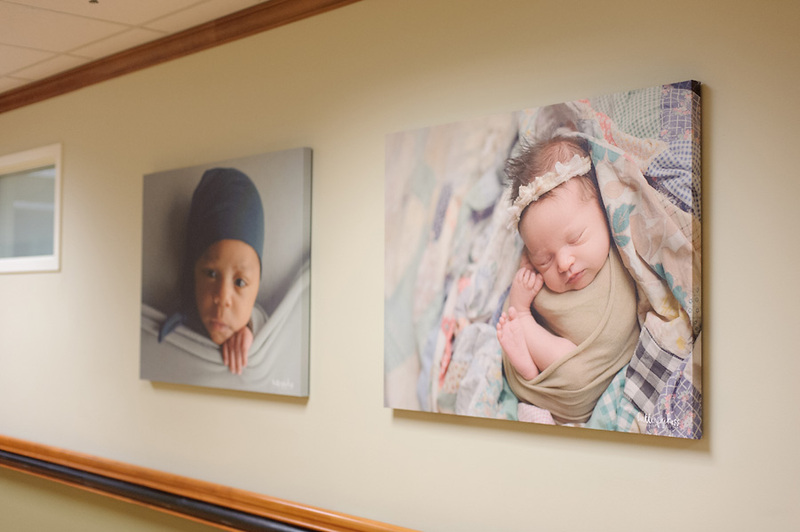 In fact, I was even the Tacoma newborn photographer for several St Joseph Hospital employees, including baby Charlie, Sadie June, and sweet little Marissa Grace. 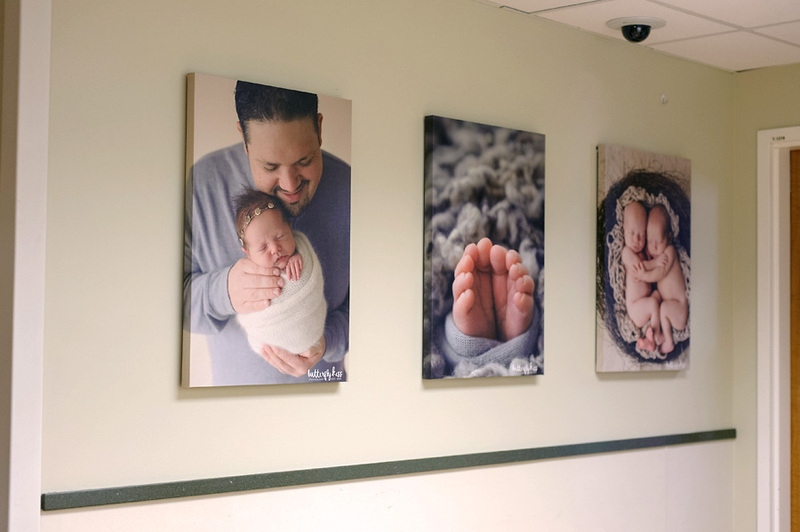 Over the past few months I have worked with the incredible staff to choose the best newborn photographs to display throughout their halls. 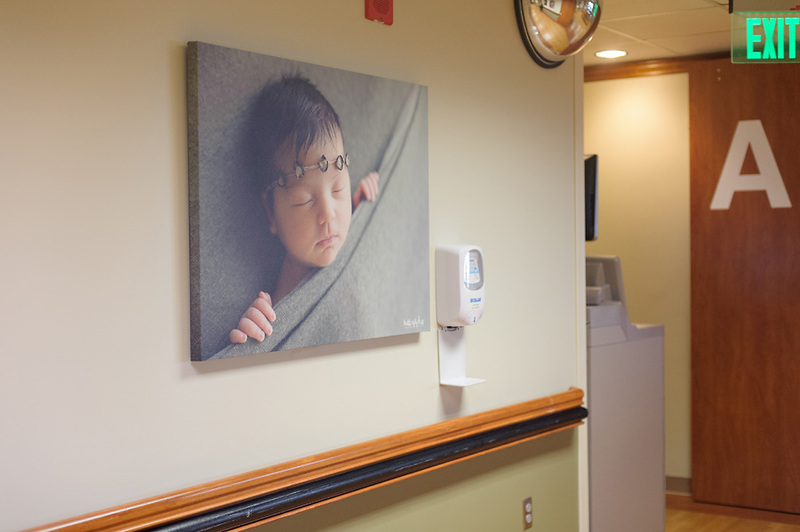 I enjoyed combing through my portfolio of newborn photos to offer suggestions. I also did a model call and photographed an adorable baby boy Dakari, whose family is stationed at Joint Base Lewis-McChord serving our country. As an artist and photographer, I aim to capture my subjects in a fresh, beautiful, and organic way. 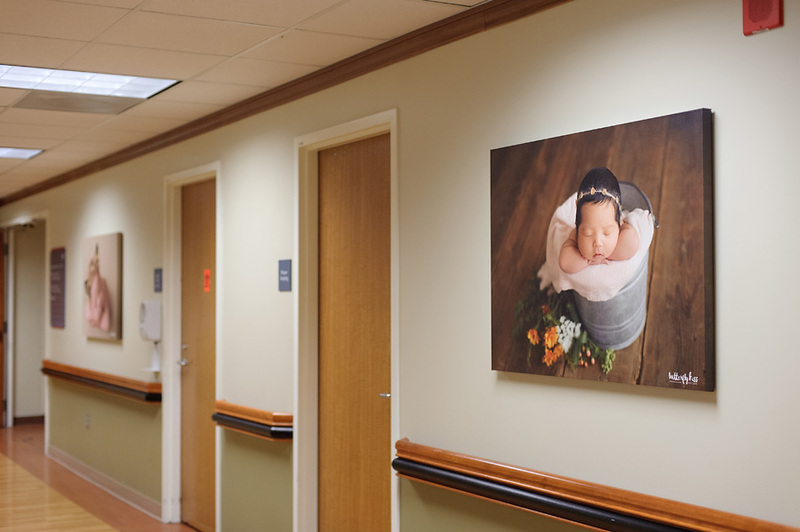 Each photograph celebrates the fleeting moments of a brand-new baby, often with artistic inspiration from our gorgeous Pacific Northwest natural settings. 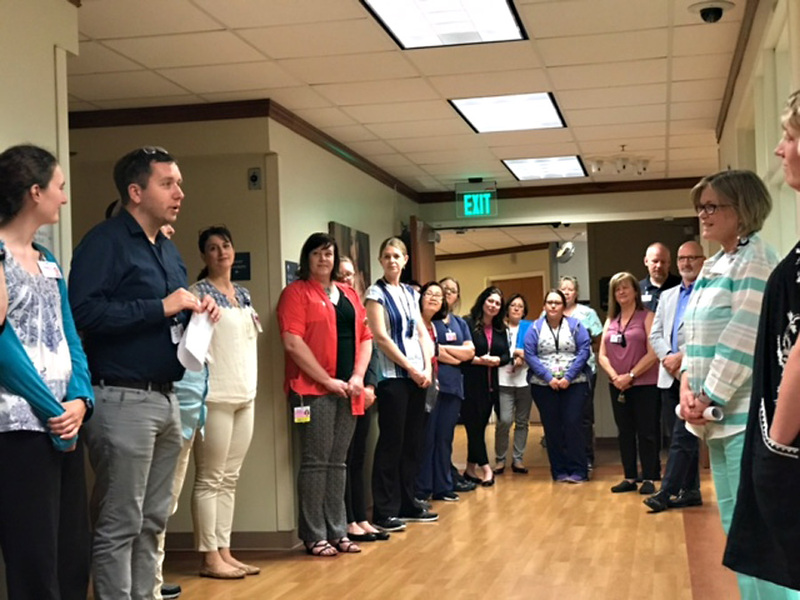 My goal was to share these to help families feel at ease while in the hospital’s care. 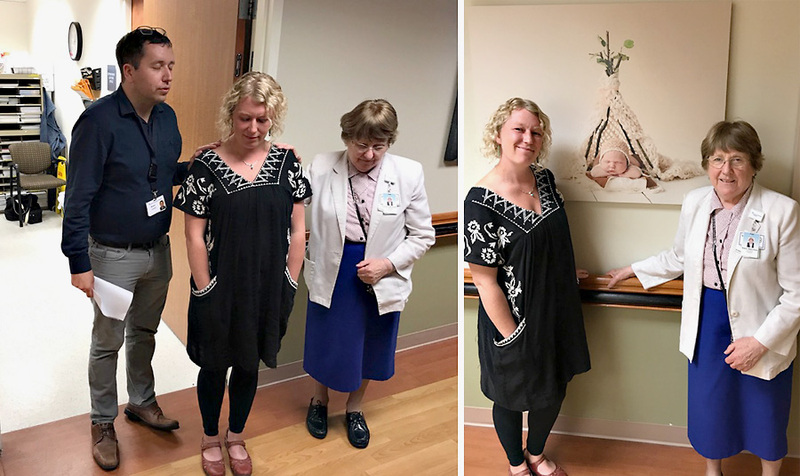 On June 21st, 2017 after the final canvas had been hung, I was invited to attend a blessing of the artwork. I came off the elevator onto the 12th floor to find a large group gathered to celebrate, with me as the guest of honor! I just had come back from vacation with my family and had a little sunburn….otherwise I am sure they would have noticed me blushing. The chaplain led the blessing with a beautiful poem. He and Sister Mary of the Franciscan Sisterhood put a hand on my shoulder and thanked me for donating my work, and for bringing beauty and joy into the hospital. It was a simple but touching ceremony. 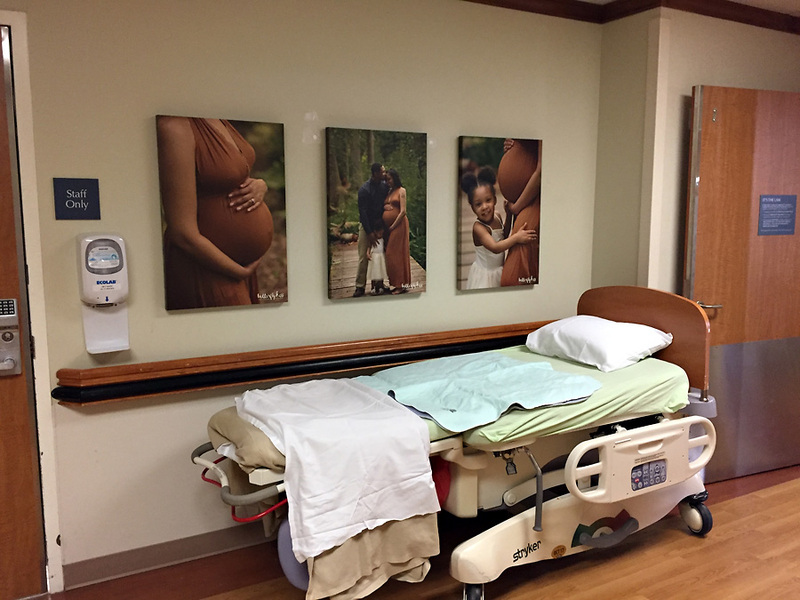 After the blessing I joined hospital staff for a guided tour of the new artwork. Since you couldn’t be there with me, I thought it would be nice to give you a little tour here on my blog. Maybe you will even recognize some of these sweet baby faces. Here is the view just outside the 12th floor elevators. 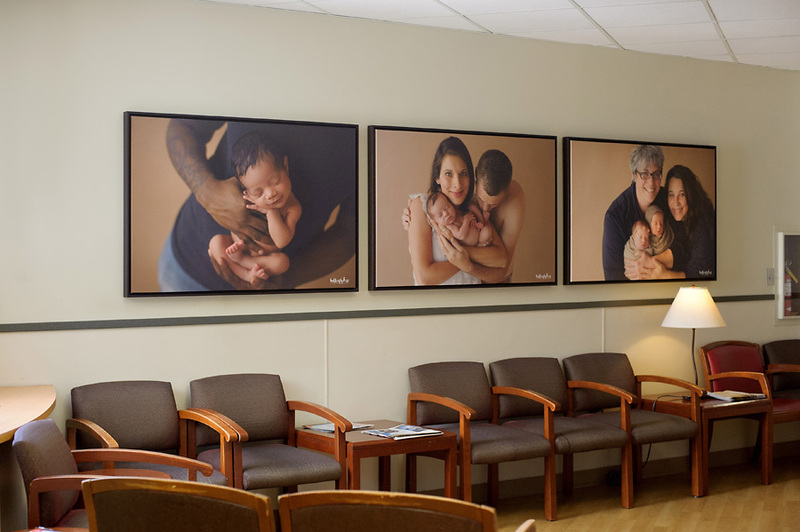 These are giant 30×40 canvases which fill the walls nicely. You can check out more of baby Kamden and his pretty mama here. 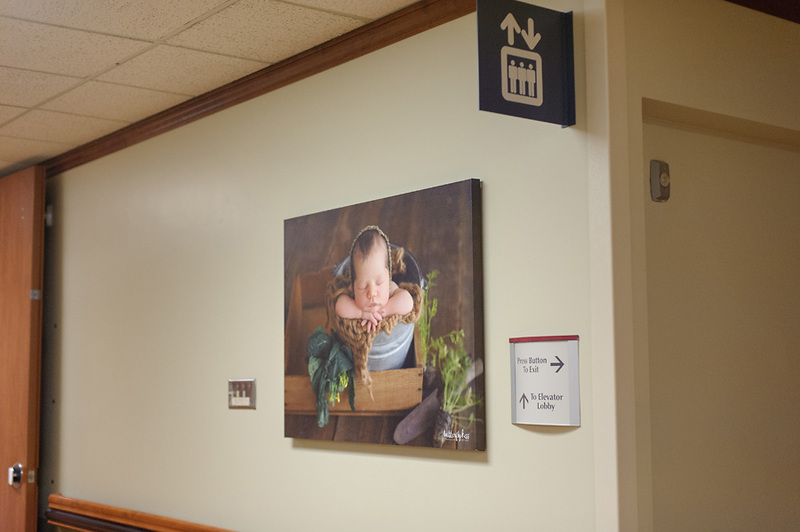 On the left of the elevator exit doors are these two 30×30 canvases which are probably my favorite pair in the whole display. I just love how Olympia newborn twins Dean and Owen are hugging each other! Right across from that pair is this image featuring my favorite color, green, and sweet baby Penelope. Continue down the hall and you will find these beautiful pictures on your way to the C quad. 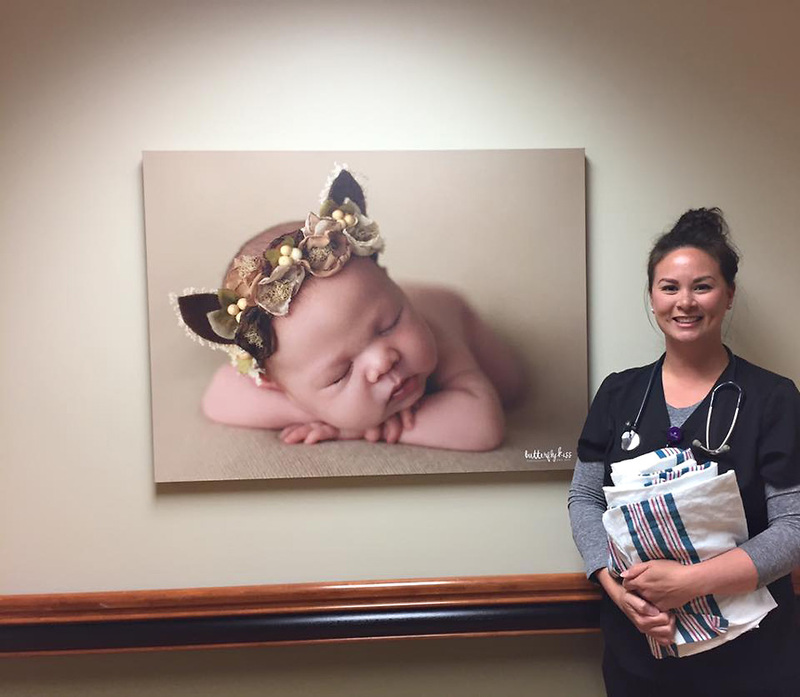 What a special treat is was for Sadie June‘s mama to come in to work for her shift and find her sweet newborn baby photo up on display. This was hands down a favorite of all the hospital staff as well. I have to thank The Dainty Miss for creating this unique squirrel headband which brings the image to life. Opposite of that wall you will turn to find these two. One of the things I love to do as a Tacoma newborn photographer is capture wrapped or swaddled baby images. This posing technique is especially useful if baby is a little awake or alert for their session. Everyone loves pictures of content babies with their little eyes open. Here is another sweet baby, Marissa Grace, whose mother works at St Joseph Hospital. Her family brought her from Olympia to my photography studio for her newborn session when she was just under two weeks. She slept the entire time ad was one of the easiest babies I have ever photographed! 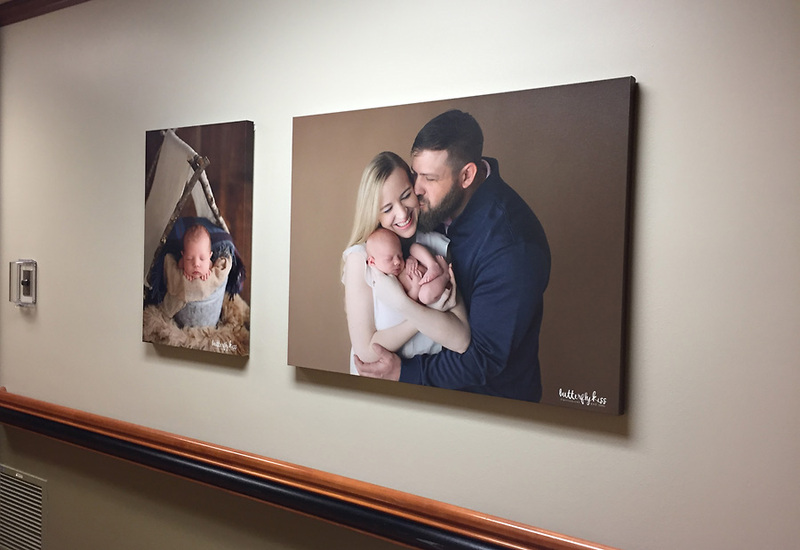 Turn the corner, and when new moms exit the service elevator from labor and delivery these are the first things they see. I could not help but include one of my own baby girl Alder Joy. She brings so much joy to me, she is sure to bring a smile to many faces at the hospital. 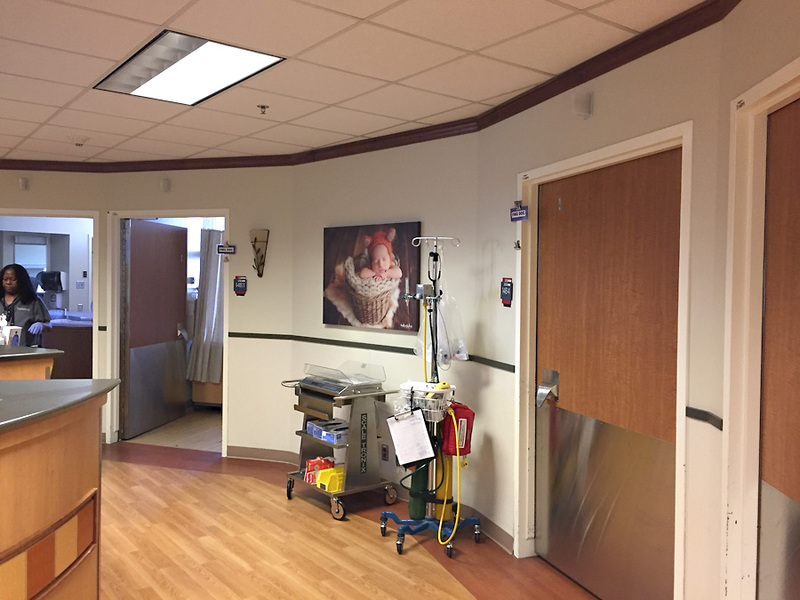 Just down the hall is the NICU. This trio of images was chosen to be soft and soothing. 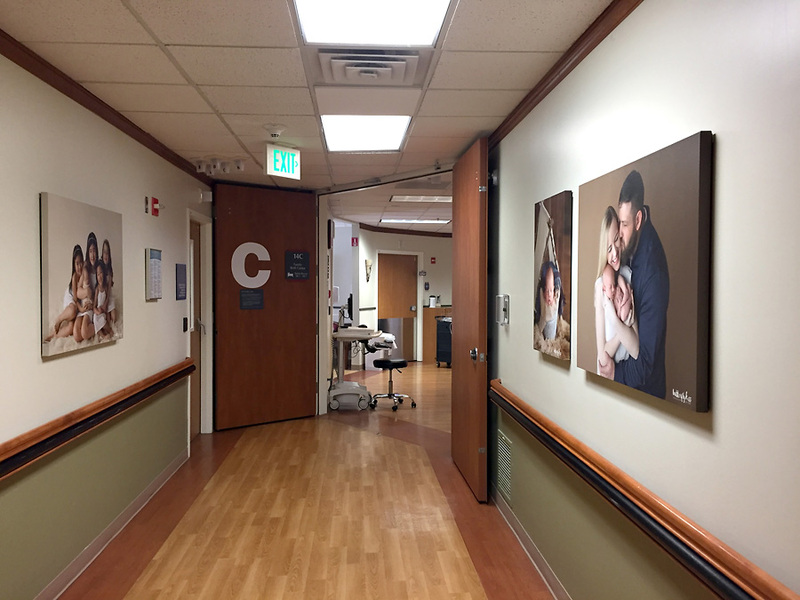 Moving up to the 14th floor to labor and delivery now….we took the stair and started here although you would probably take the elevator if you were really visiting the hospital. 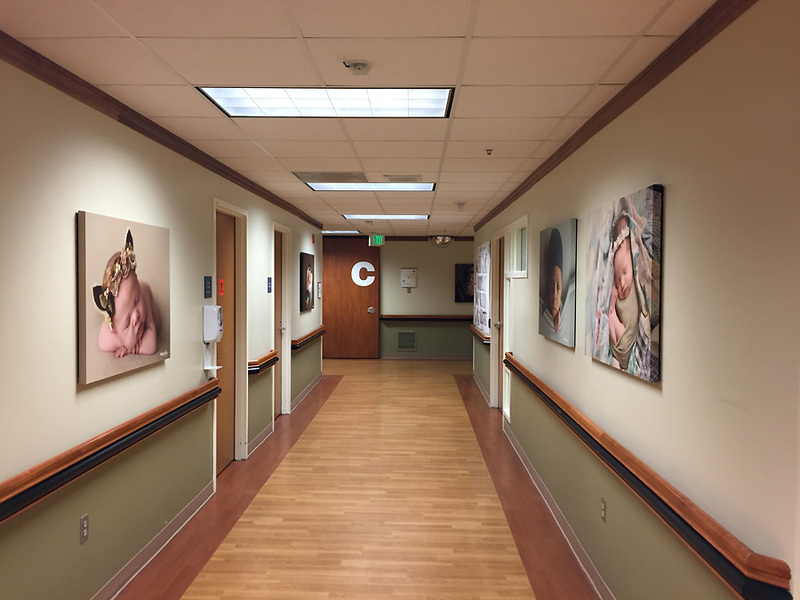 All the nurses love having beautiful new artwork to look at while they are working at their stations. 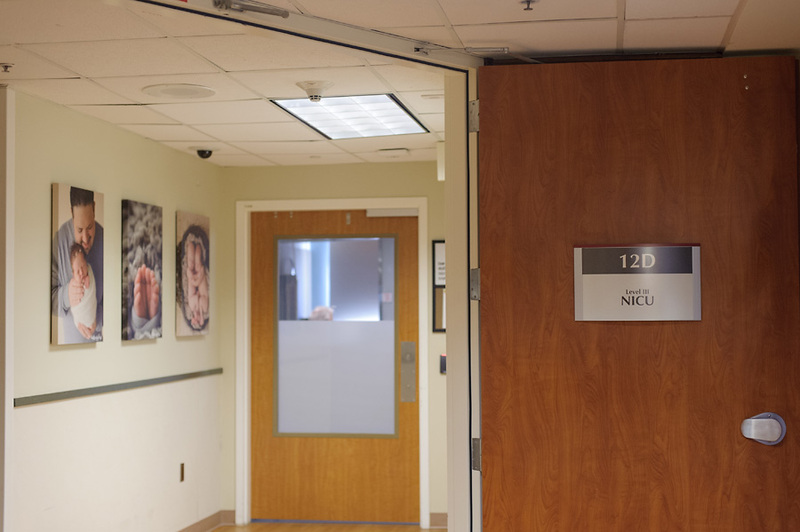 The first thing we come to on this floor is the entrance to the operating room. 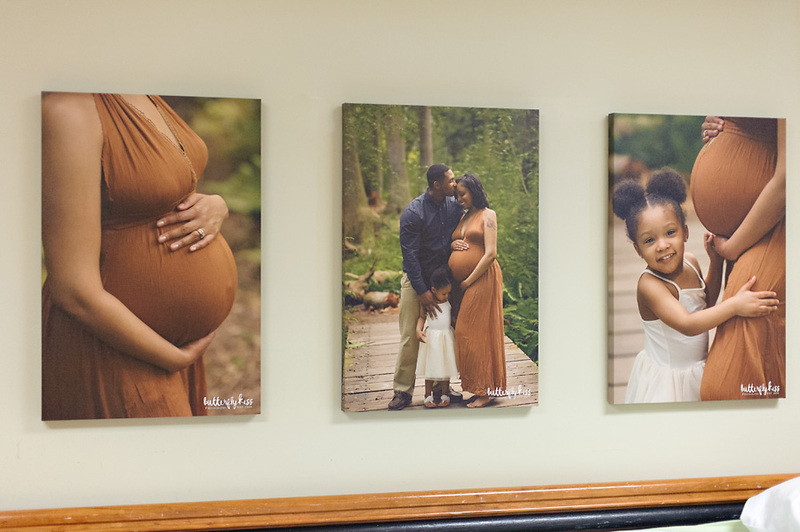 This wall features a gorgeous family expecting their second baby. I could not forget about the older babies either. I love photographing baby milestones like sitting and first birthdays at my Watch Me Grow sessions. Noah was pretty excited to turn one! That smile gets me every time!! Parent and family newborn pictures are some of the most special ones I get to create, like this one of little Elliot May with her mom and dad. 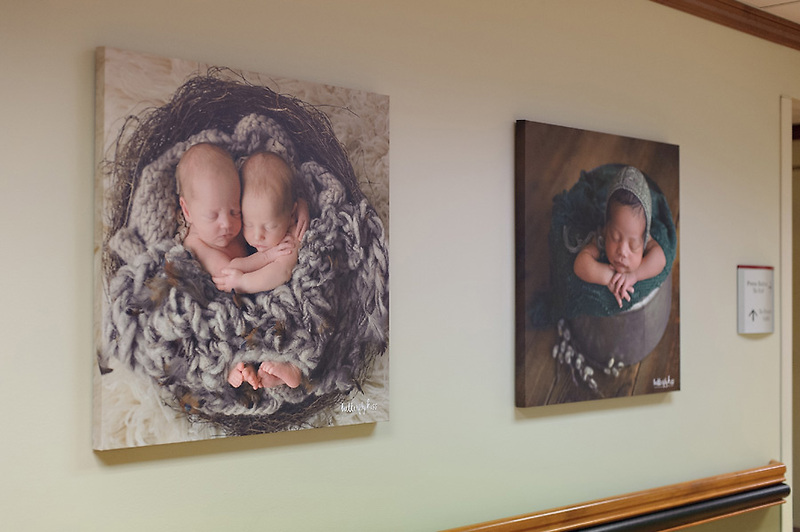 Now we come to the 14th floor main elevator, which is flanked by two more of my personal best newborn photographs. I absolutely love incorporating live plants, flowers and greenery in newborn sessions any chance I can get. I picked up these carrots starts and bunch of kale at our local farmers market the day before Nash’s photoshoot. His mom loves gardening and growing her own produce which was my inspiration for his photos. Another of my favorite sessions to date! I think every single one of Dakari’s newborn pictures takes my breath away. He even gave me several smiles! Go see for yourself here. Just make sure you come back for the rest of the tour, we are almost done now. B Quad artwork. Every one oohs and ahhs over that baby fox! I love this soft knit bonnet from Two Crafty Mamas. Another cute snuggled up baby in the “tushie up” pose. Finally, the real show piece of the entire display is the 14th floor waiting room. 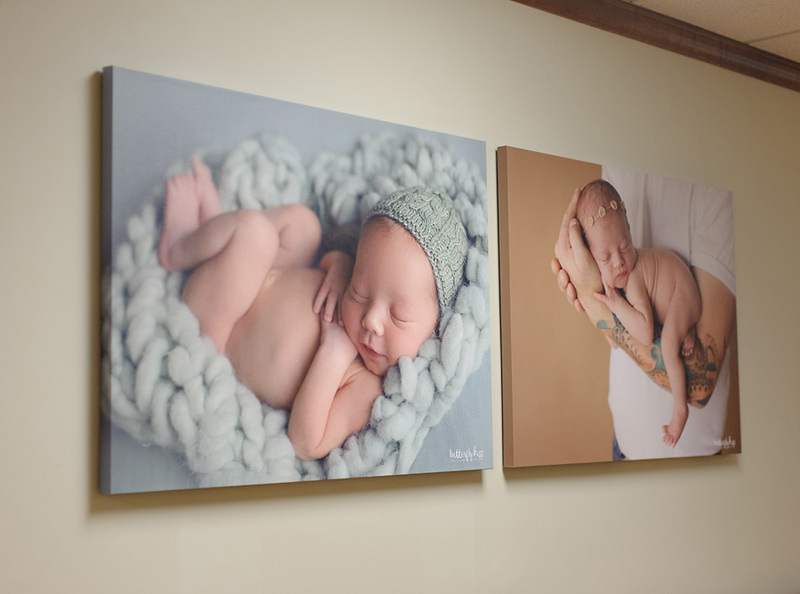 We wanted these images to really standout so we had the extra large 36×48 canvases framed. They sure make a big impact! 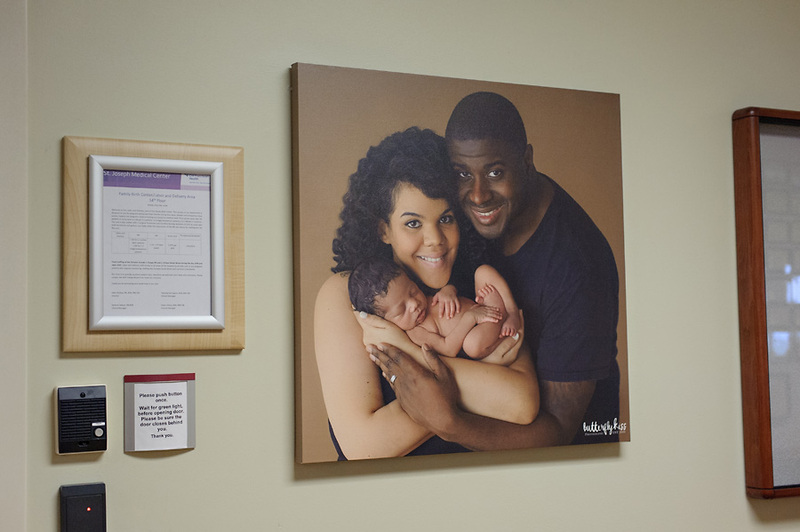 This collection of images is all about family, and all the different types of families that come to St Joseph Hospital and Butterfly Kiss Photography. 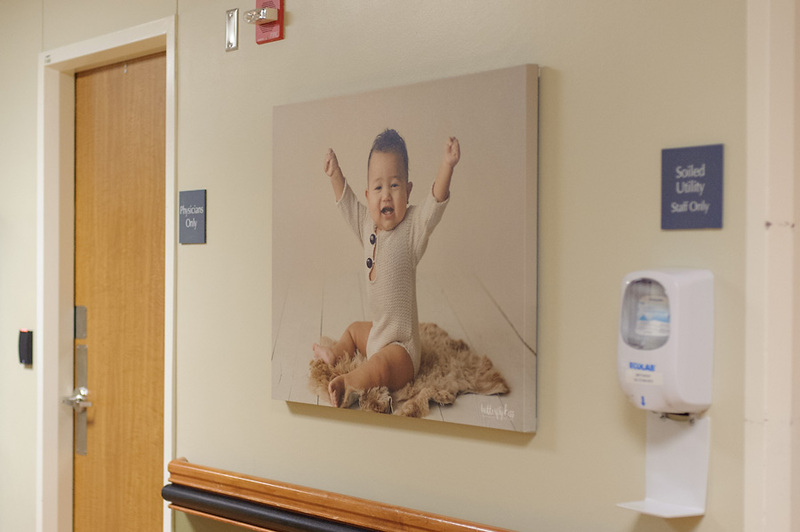 I offer newborn sessions for all types of families, including those that have used fertility treatments, IVF, and adoption to complete their family. 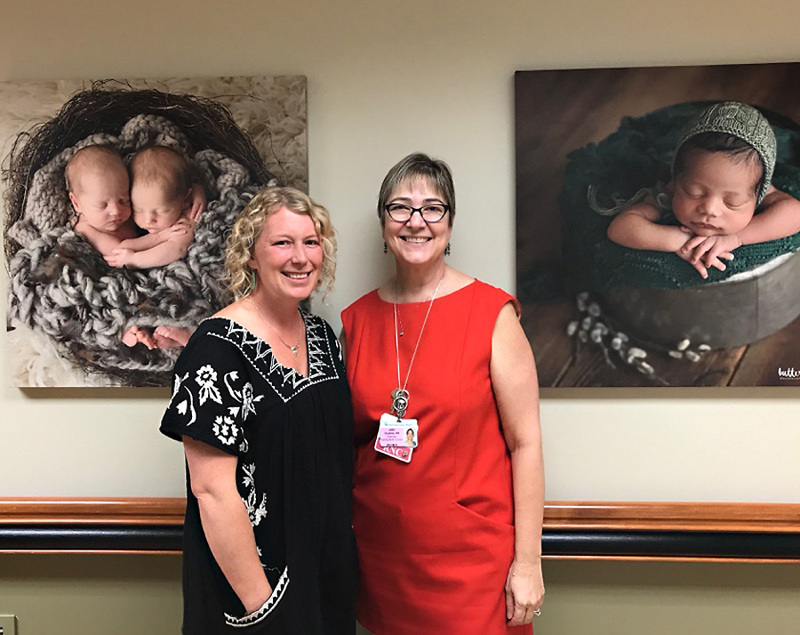 It is always a special honor to be chosen as a Tacoma newborn photographer for those who had more of a journey bringing their newborn into the world. 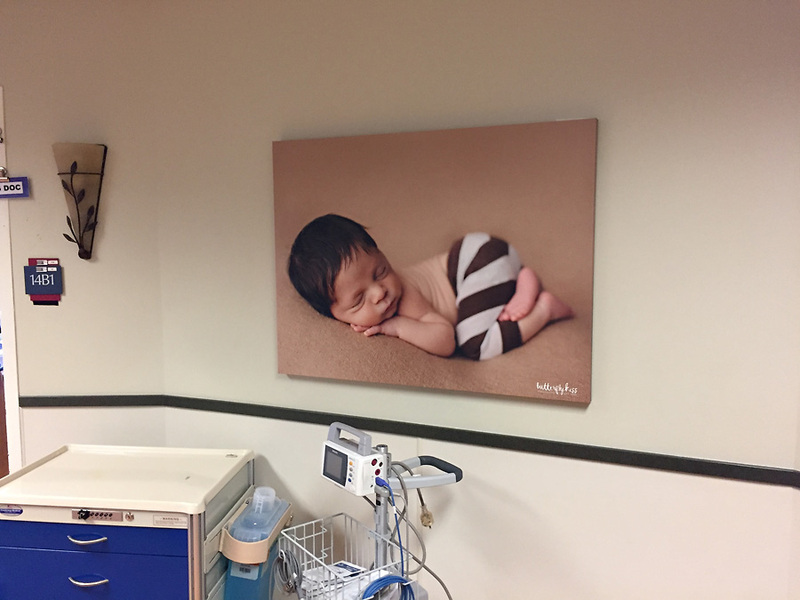 If you are ever visiting St Jo’s labor and delivery make sure you take a peek at this in real life. It is breathtaking. 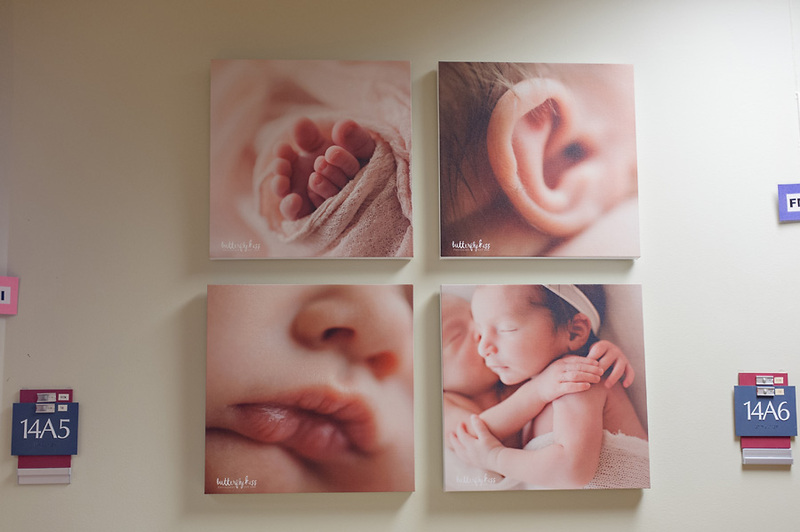 Last is this sweet little set of 16×16 canvases featuring some baby macro detail shots. Because it really is the little things that take up so much room in your heart! Birth is a beautiful thing. 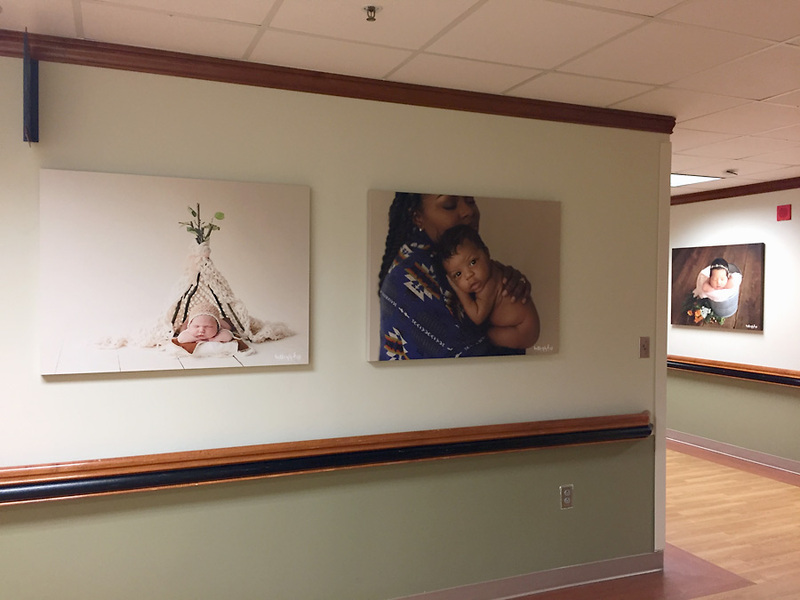 I know it will help put families at ease when they are surrounded with the beautiful artwork that is now on display at St Joseph hospital in Tacoma. Thank you so much for joining me on this virtual tour. Did you recognize any of these little sweet babies? If so leave me a note in the comments. 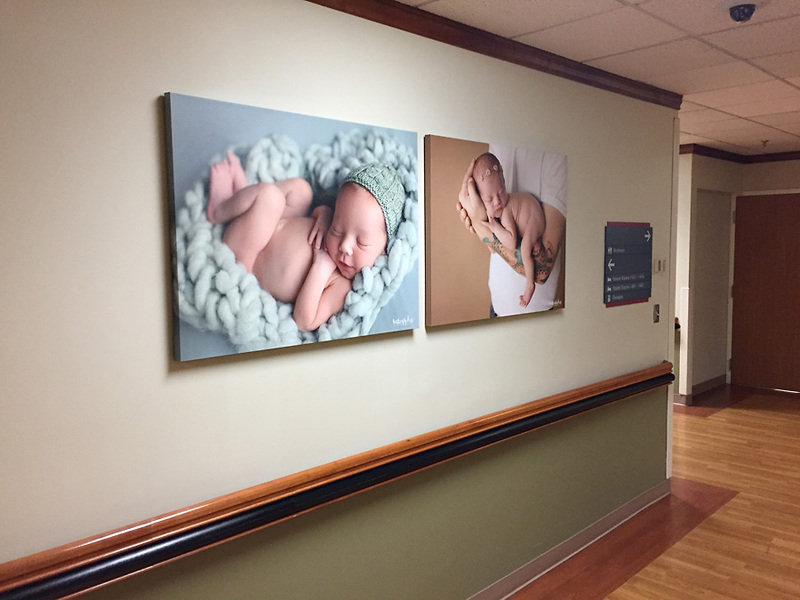 It is always nice to hear how this newborn artwork display has made an impression on others as well. 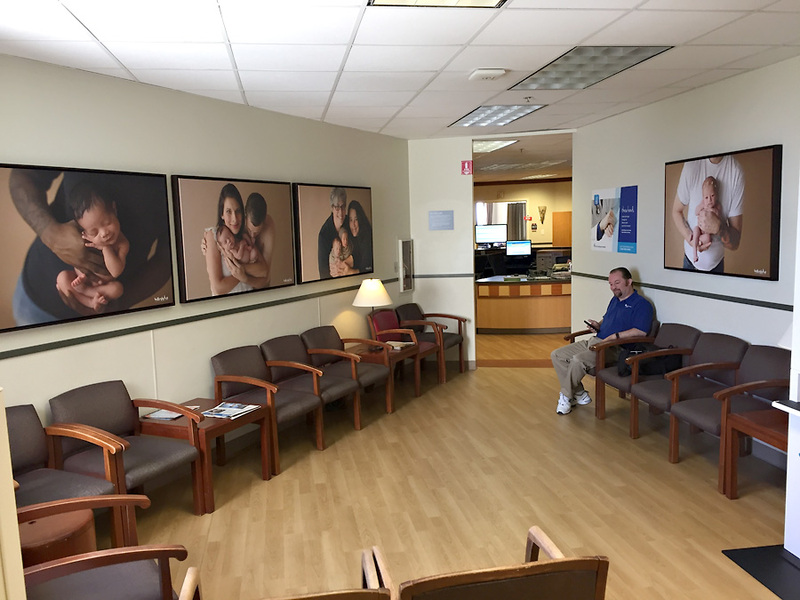 Are you expecting? 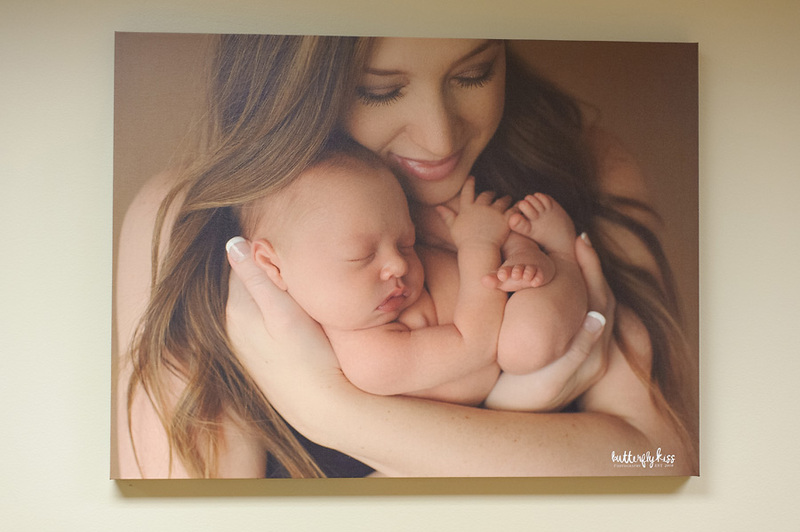 Looking for a Tacoma newborn photographer? I would be honored to create beautiful artwork for your family to enjoy forever. Please check out the details and contact me now to check availability for your due date. Your so amazing. We just love you so much ?? and your disolays are absolutely beautiful!!!! That it so sweet of you to say Abby, thank you! 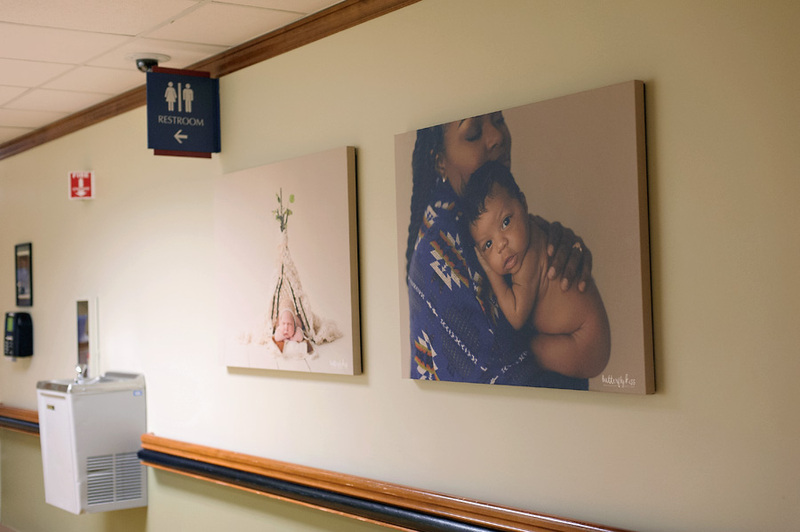 I had not previously heard that these photos were going to be hung, so the day I walked in to work I was so overjoyed and excited to recognize so many of my coworkers’ sweet babies. Your work has made Walking the halls Even more fun! Thank you for sharing your talent with us! Wow! 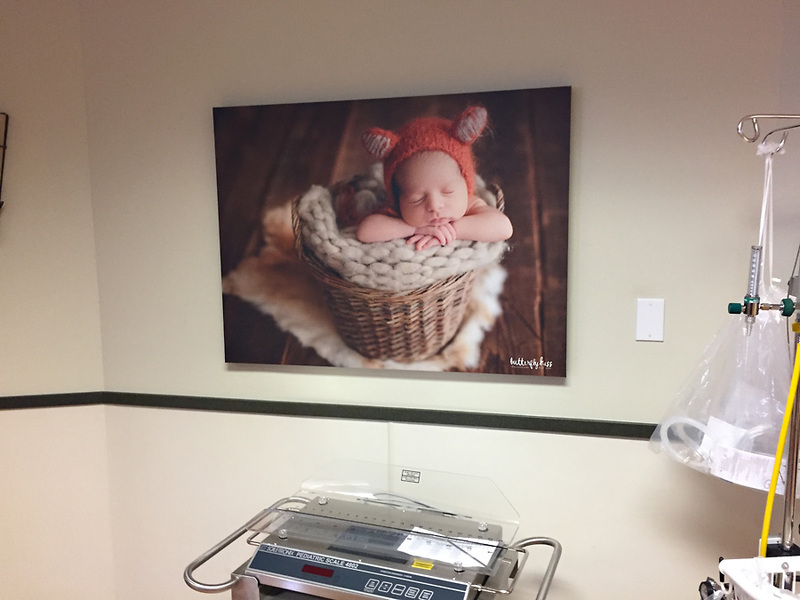 Very impressive display it your beautiful Tacoma newborn photography!